AmaWaterways has launched a sweepstakes on Facebook that will award one fan a seven-night trip for two on the “Christmas on the Rhine” itinerary. 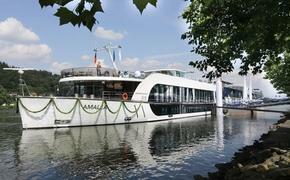 Through Nov. 16, visitors to AmaWaterways’ Facebook page can become a fan and submit an entry form. One randomly selected Facebook fan will win the cruise from Dec. 27 to Jan. 3. The prize includes one double occupancy cabin, cruise fare and port charges. The cruise fare includes all onboard meals; wine, beer and soda with dinner; daily shore excursions; in-room direct Internet access and Infotainment; ship-wide Wi-Fi; guided bicycle tours; and more.